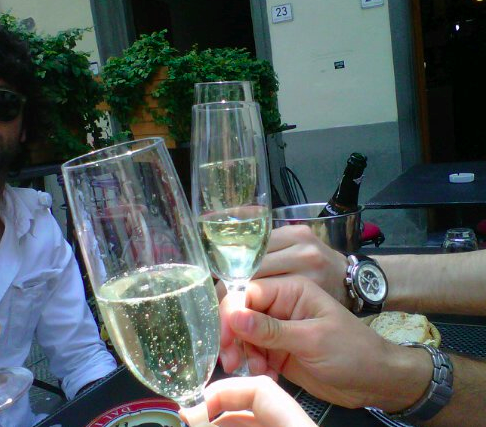 Prosecco, one of my favorite sparkling wines! Luckily, we can start spotting it on almost every wine list. The reason behind this sudden boom of prosecco is simple; it’s a young and fresh sparkling wine that is inexpensive, and makes you feel so good while drinking it! Prosecco is a modern style of sparkling wine, perfect for the hot summer days, a chilling afternoon or a relaxing aperitivo. 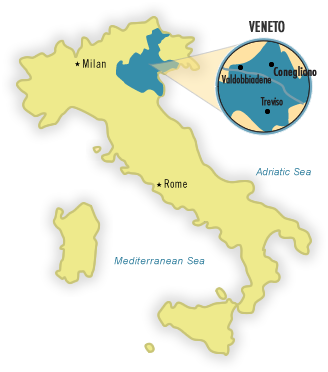 Prosecco is made from the Prosecco grape (Also known as Glera) in the Veneto region of northeastern Italy where Venice is the capital. Labels are easy to read, just look for “prosecco.” A higher quality also will include the words Conegliano or Valdobbiadene, and for more quality and refinement you should ask for “Superiore di Cartizze” labels. While having a sip of prosecco you will immediately feel the ultra-fresh flavors, floral fragrance and a crisp effervescence, It’s not sweet but you can absolutely taste the fruity aroma. 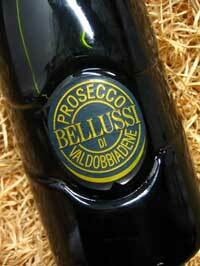 Prosecco should be at 8 ° – 10 ° C to enjoy it at it’s fullest. Its fizziness and delicate taste makes it the perfect match for many types of food.